Welcome to RemiSpeaks a Coaching , Speaking and Training Platform for Management , Emerging Leaders and Entrepreneurs in quest of sustainable growth with Global Relevance. she was meant to shine. Dr. Remi has such a distinctive approach of coaching and delivering the message. I truly appreciate her ability to customize the training based on individual need. I recommend Dr. Remi to anyone who needs to upscale their speaking abilities. Thank you so very much!. Remi Duyile is a person who is 110% dedicated to her passion of helping people reach higher, achieve more and be the best they can be! While working with Remi, I couldn't help but immediately notice and feel her positive and genuine spirit which lights up the room. Her attention to every detail is incredible. And when she hits the stage to speak, it's electrifying and leaves the audience inspired and ready to take action to do more and be more! Role models are influential, important and they set goals for us. We follow their foot steps. Role models are everywhere. But Dr. Remi Duyile's enthusiasm to success is so contagious that I can not visualize without using the effect of her powerful passion of connecting every dots to success. I admire you, as you always try to make others as good as you. You are one of the very few rare gem. Perseverance enhances an individual’s productivity, success, compassion, courage, humility, determination, integrity, and faith, which the book clearly addresses. I believe that if Remi Duyile’s recommendationsin the book - Winning Key to Your Destiny -are followed, it will empower an individual to be comfortable wherever they live, work, and play.I commend Remi for her commitment and accomplishment, and tireless effort in talking ‘TRUTH’. Honest, candid and awe-inspiring are just a few words I can use to describe Dr. Duyile as a mentor, professional development expert and speaker. 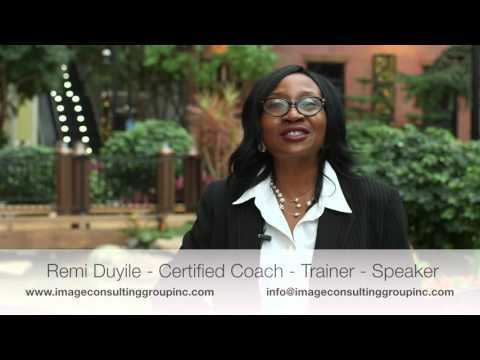 Remi is a highly skilled facilitator who is guaranteed to meet and far exceed your organization 's needs.